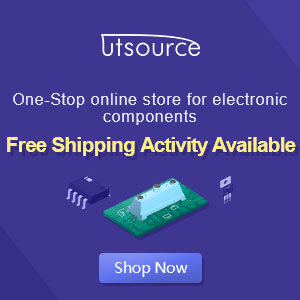 In electronics, a audio limiter is a circuit that allows signals below the specified input power to pass unaffected while weakening stronger signal peaks that exceed the strength of this input. Previously, when a recording done on analog tape, when a Sound Engineer recording material that has a high dynamic changes, then he will lower the volume so that the strong dynamics will not result in distortion. The problem is, when the volume is lowered, then the soft parts are near the noise floor, it would not be heard clearly as it is covered by a sound like "shhhhhh". By using a compressor, then Sound Engineer can download stabilize the overall volume of material that can be lifted and reduce tape noise. Audio limiter itself can be differentiated into audio audio limiter and compressor. As already disclosed in the introduction earlier that the audio limiter is used to limit the audio signal audio while Compressor is a tool that is included in the category "gain based". As we set parameter2 contained on a compressor unit, used in the unit dB. Compressor is useful to make the signal more flat or stable (not too up and down). An example is the use of compressors on vocals. Let us imagine when we are mixing a song consisting only of vocals, while the music comes from a single keyboard or organ. We know that a single organ music has that constant dynamics, so it will be a problem if his vocals have a wide dynamics. For example the singer whispers in the intro, then sing loudly in the chorus. If we are to balance the music and vocals during ref, then when the intro vocals will not be heard because the singer whispered. Likewise, if we are to balance the music and vocals during the intro, then when the ref music will be closed for the vocalist to sing loudly / shouting. By using a compressor, Sound Engineer can stabilize the vocals so that it can "enter / paste" well on a single organ music. For the record, Compressor can also be used "before" the incoming signal to tape / hard disk. For this application, Compressor is useful to keep the incoming signal so as not to digital clipping occurs. The circuit diode cutter (Clipper), also known as a voltage divider (voltage limiter). This circuit is used to limit the voltage of the input signal at a certain level . This circuit is useful for the formation of the signal and also to protect the circuit from the signals that are unwanted. Some applications of the voltage divider is a noise limiter and audio limiter. Voltage divider circuit there are 2 types based on a voltage level that is limited. A voltage divider which limits the input signal voltage at the positive part is called the limiting positive voltage (positive limiter) while limiting the signal voltage at the negative input referred voltage divider negative (negative limiter). a) Limiter: its output is constant, no matter how small its large incoming signal / signal is not allowed past the threshold that exists. b) Brick Wall Limiter: Limiter were widely used during mastering to raise the overall volume of an audio material. c) Selected Frequency Compressor: working at a predetermined frequency band. An example is deesser. Deesser work on frequency of about 5-8 kHz and useful to suppress hiss on vocals. d) Multi Band Compressor: Widely used for mastering. Can we imagine as a compressor into one. Which each compressor handle different frequencies or bandwidth independently. Each bandwidth can have a setting attack, release, ratio and threshold are different, too. For example, we have divided MBC 3, it can be set: one to compress low frequency, one for mid, and one for high frequency. When used properly, most of the ordinary listener will not realize that the compressor has been used. The human ear tend to be more sensitive to pitch changes rather than changes in amplitude. Generally, the sound engineer to understand music. Of course you understand it, in addition to the tone and rhythm, dynamics change its soft or loud a song greatly affect the beauty of the song. Especially for classical music. Well, this is what we are trying to keep. Broadly speaking there 5 pieces of parameters that can be adjusted, namely: threshold, ratio, attack time, release time and output / gain. Of the 5 parameters, I will divide it into two parts, namely, threshold and ratio. Next is the attack time and release time. First we discuss the threshold and ratio. The first is the threshold. Threshold is the point where if a signal beyond this point, the compressor will start to work. You are the one who determines this threshold. For example, if the threshold is set at -20 dB, then all of the signal passing through -20 dB in the process. Signal does not pass will not be processed. The second parameter is the ratio. In short, the ratio is the ratio or the amount of compression that will apply to the audio signal passes the threshold level. Suppose the ratio is set at a ratio of 3: 1 and a threshold of -20 dBFS. If the signal is at -14, meaning past the threshold by the number of 6 dB. Then be compressed at a ratio of 3: 1. Then will we be able to result 2. Well this we add the threshold we were -20 earlier. The end result it is -18 dB. We have discussed many times about this dB, you might wonder, how many dB compression is good is that? In his answer, depending on your taste and the type of music you are mixing. But, there is a benchmark that is: if you are compressing by 6 dB, then the perception is half of its loud sound before the compressed. For more clearly refer to the table at the bottom of this article. We are a third parameter, is the attack time. Attack time determines how long the compressor "to wait before starting to work" after it detects the signal passing through the threshold. As we see in the image above, each instrument has a "Sound Envelope" different. If the attack time you set "fast", then the compressor will see and react to almost any signal passing through the threshold. For example, when we use the compressor on drum tracks. If the attack time in the quick set, then the compressor will react to each drum. When you change the attack time to "slow", then the compressor will not react to signals of short duration. The fifth parameter is the make-up gain, or output. When a signal is compressed, the amplitude will be reduced automatically. This output is useful to add "gain" of your audio signal that has been compressed. Some Compressor has a setting called Hard Knee or Soft Knee . The difference is, at the Hard Knee, when the signal is below the threshold, totally compressed. Once past the threshold, then the compressor went to work. In soft knee, when the signal began to approach its threshold, the compressor starts working.